Misty Copeland: "Dance Unifies, So Let's Get to Work"
Misty Copeland opened the 2018 Dance Magazine Awards. Photo by Christopher Duggan. What does it mean to be human? Well, many things. But if you were at the Dance Magazine Awards last night, you could argue that to be human is to dance. Speeches about the powerful humanity of our art form were backed up with performances by incredible dancers hailing from everywhere from Hubbard Street Dance Chicago to Miami City Ballet. Misty Copeland started off the celebration. A self-professed "Dance Magazine connoisseur from the age of 13," she not only spoke about how excited she was to be in a room full of dancers, but also—having just come from Dance Theatre of Harlem's memorial for Arthur Mitchell—what she saw as their duty: "We all in this room hold a responsibility to use this art for good," she said. "Dance unifies, so let's get to work." That sentiment was repeated throughout the night. Onstage This Week: ABT's "Whipped Cream" Returns, The Joyce Ballet Festival Continues, and More! Barak Ballet will perform E/SPACE at Joyce Ballet Festival this weekend. Photo David Friedman, Courtesy of Joyce Theater. American Ballet Theatre's eight-week summer season at the Metropolitan Opera House, will wrap up this Saturday. From July 2-7, the company will perform Alexei Ratmansky's Whipped Cream. This candy-coated surrealist ballet features wacky, intricate sets and costumes from Mark Ryden and tells the story of a boy in a Viennese pastry shop who overindulges and falls into a state of wild intoxication that takes him on a journey reminiscent of Act II of The Nutcracker. For a behind-the-scenes look, check out these backstage photos from the 2017 premiere. During the run, Arron Scott will make his debut as The Boy, and Gabe Stone Shayer will make his New York debut in the same role. Thomas Forster and Calvin Royal III will perform as Prince Coffee for the first time in New York. McNally and Marcelino Sambé in Crystal Pite's harrowing "Flight Pattern." Photo by Tristram Kenton, Courtesy ROH. Kristen McNally has long been one of the most versatile dramatic talents at The Royal Ballet. Since joining the company in 2002, the Liverpool-born dancer has carved a niche for herself by excelling at both character and contemporary roles, from Carabosse and the Queen in The Sleeping Beauty to work by Javier de Frutos or Hofesh Shechter. Photo by Tristram Kenton, Courtesy ROH. While ballet may feel female-dominated in that there are plenty of onstage opportunities for women, key behind-the-scenes roles like choreographer and artistic director are still largely held by men—a point that is increasingly being raised and questioned in the dance world thanks to female choreographers like Crystal Pite and Charlotte Edmonds. Also helping to break that mold is rising female choreographer Kristen McNally, who not only choreographed a recent duet for CNN Style, but also paired two women to bring it to life. In the short film, which features McNally's choreo and is directed by Andrew Margetson, Royal Ballet first soloist Beatriz Stix-Brunell and principal Yasmine Naghdi changed the expectations on gender roles in ballet—and the end result is awesome. Nearly identical in appearance, the dancers' movements and lines also mirror each other throughout the piece, even when dancing in canon. Even more impressively, McNally told CNN Style, "The dancers and I did two rehearsals and then we shot the film." Check out the full duet for yourself, below. We're seeing a lot of Crystal Pite in the ballet world this season—and no one is complaining. Only a few months after debuting a work for the Paris Opéra Ballet, her first creation for The Royal Ballet premiered last night, alongside work by Christopher Wheeldon and David Dawson. According to The Guardian, the last time a woman choreographed a ballet for the main stage at the Opera House was 18 years ago, and it sounds like this piece pushed limits in other ways too, with its dark and very timely subject matter. Called Flight Pattern, it features 36 dancers and is set to Henryk Górecki’s Symphony of Sorrowful Songs. It takes on the experience of refugees during the current migrant crisis, exploring the pain of displacement and loss. In our December/January issue, Pite talked about her love of working with classical dancers. But what is it like on the other side of the creation process? In the video above, which was originally livestreamed back in February, Pite and some of the Royal Ballet dancers open up about their experience in the studio. You can also watch Pite coaching them through one section of the piece (this starts about 30 minutes in). Flight Pattern runs through March 24 at the Royal Opera House. "There's a whole aspect to the craft of choreography that involves directing and leading a group of people. 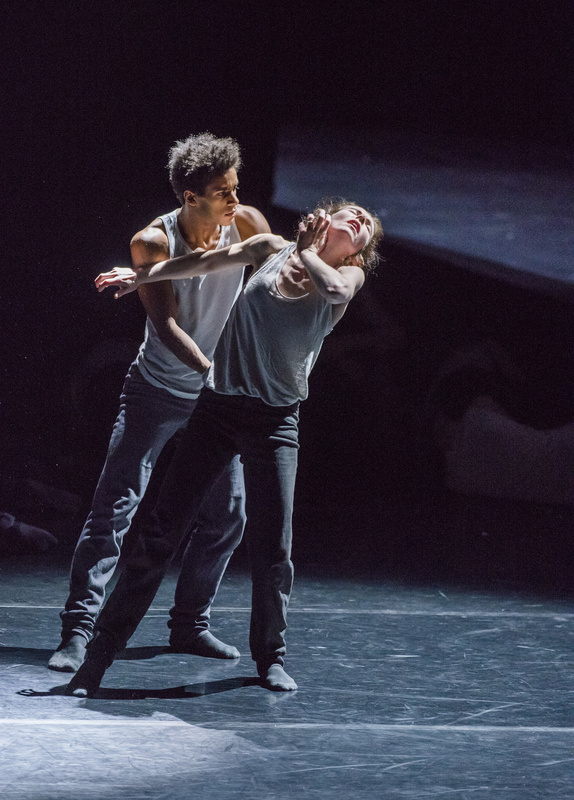 And it's like dancing: You need to practice, to work on being a leader," says Crystal Pite. Photo by Julien Benhamou. Crystal Pite considers herself to be on the contemporary end of the dance spectrum, but she's playing in the major league of ballet companies this season. In September, the Canadian choreographer debuted The Seasons' Canon, a large-scale work for 54 dancers at the Paris Opéra Ballet; in March, she will follow up with her first work for The Royal Ballet. For POB, The Seasons' Canon turned out to be a powerful collective experience at a time of transition. The French institution was left in turmoil by former director Benjamin Millepied's resignation announcement last February, but Pite channeled their strengths into a rare creation using a third of the company's impressive roster. In just four weeks—“a sprint" according to the choreographer—she took the dancers on a creative ride. “They're open, willing, generous, patient and delightfully hungry," she says. This interview appeared in the February 6 Pointe e-newsletter. To sign up for the newsletter, click here. Many ballet fans were surprised when longtime freelance star Drew Jacoby decided to join Nederlands Dans Theater last year. But she'll be beamed back to U.S. audiences next month, when Emerging Pictures broadcasts an NDT program featuring a new full-length work by Crystal Pite in movie theaters nationwide. 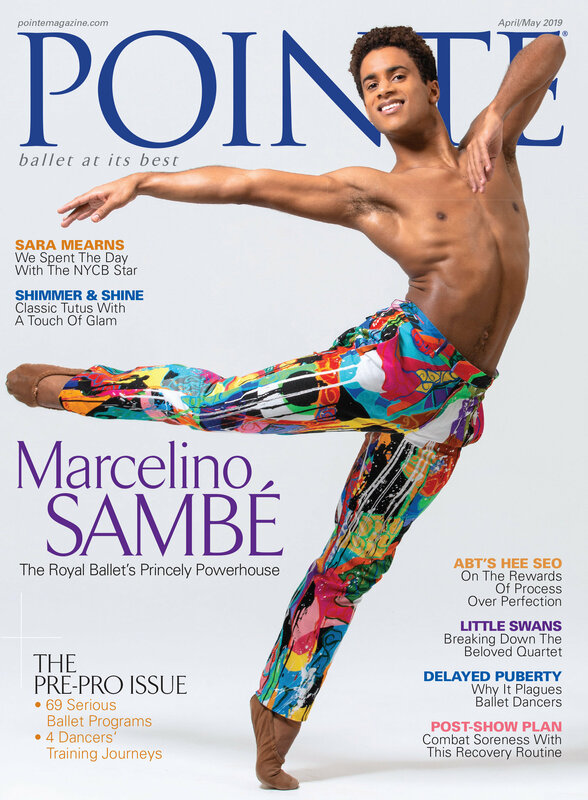 Pointe's e-news spoke to Jacoby about her overseas move and learning Pite's choreography. Crystal Pite is known as a storyteller. Does this new piece tell a story? In a way, yes. It's based on the idea of the known and unknown universe--the opposing forces within it, and what we can and can't see. In the opening section, she plays with the rational and irrational parts of the brain, with majorettes to represent the rational side and clowns to represent the irrational side. Then, in the second part, there are dancers who are visible and shadow figures who are all in black. But I'm not doing it justice--she explains this all much better than I can. The Emerging Pictures crew will be filming your opening-night show. How do you perform in a way that's appropriate for both the audience in the theater and the broadcast audience? Yeah, and it's a world premiere, too! There'll be plenty of pressure. I guess I should probably try not to grimace or make strange faces, in case they go in for close-ups. But I think because it's such an epic evening and we all have so much responsibility, we're not going to have time to think about the cameras. And the choreography is going to sell itself on film--It's a natural program to broadcast, because of its theatricality, and because there's so much going on. Why did you decide to join NDT? It wasn't planned. It sort of fell in my lap, which was strange, since my whole career has been me seeking out opportunities and forging my own way. But I had a gut feeling about it. I knew if I didn't try I'd always wonder. I'm still in a position where I want to learn, and that's hard when you're freelancing and working alone a lot. I also just wanted to focus on dancing. Freelancing was extremely fulfilling in one way, but I was spreading myself thin with the administrative work and the stress of it all; I was getting a little burned out. At NDT I can put all of my energy toward my art. And being around all these incredible dancers has made me hungry again. I feel at peace with the decision. Cedar Lake Contemporary Ballet has been director-less for nearly a year. Longtime leader Benoit-Swan Pouffer, who shaped the company into an avant-garde powerhouse with a European accent, stepped down last May. Yesterday, however, it was announced that Alexandra Damiani will become Cedar Lake's new artistic director. What does that mean? Well, as Cedar Lake's ballet master, Damiani was Pouffer's right-hand woman for many years, and she stayed his course during her time as interim director. So a dramatic change of vision for the company seems unlikely. That's fine by us; Cedar Lake's distinctive repertory fills a hole in the American ballet scene. Here's the interesting part: Cedar Lake has also named Crystal Pite associate choreographer. Pite has already made two pieces for the company, and its dancers seem especially well-suited to her intricate, imaginative choreography. She'll create at least two more works for Cedar Lake over the next three years. We're excited to see what will come out of her deeper involvement with the company.